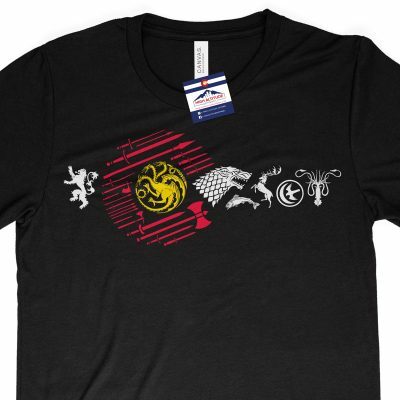 This is the shirt you have been looking for. 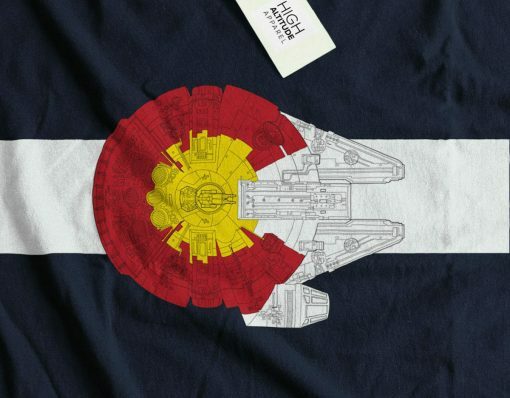 This shirt features an extremely detailed design of the Millennium Falcon and the iconic Colorado flag. 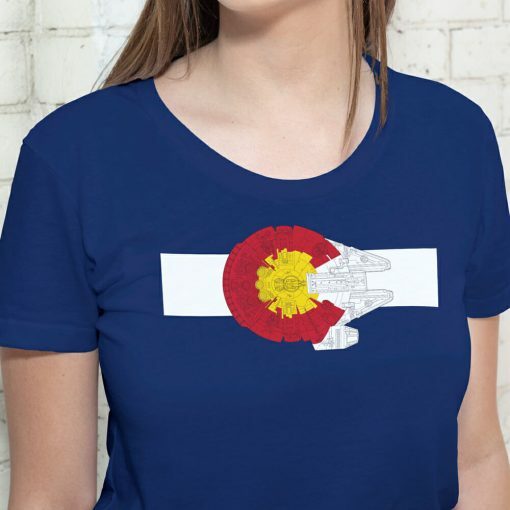 Show off your love for Star Wars and your home state! 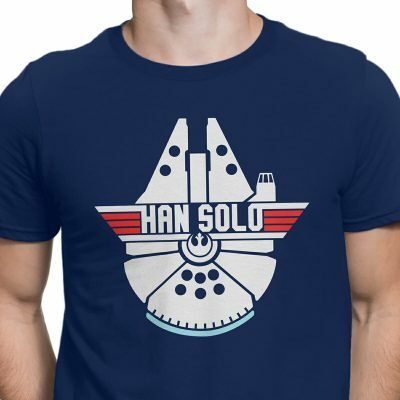 You won’t want to take off this tee, featuring a uniquely soft triblend fabrication, modern fit, crew neck and short sleeves. Be sure to review our sizing charts! Our tees (especially our ladies tees) are somewhat form-fitting and can run a little small. 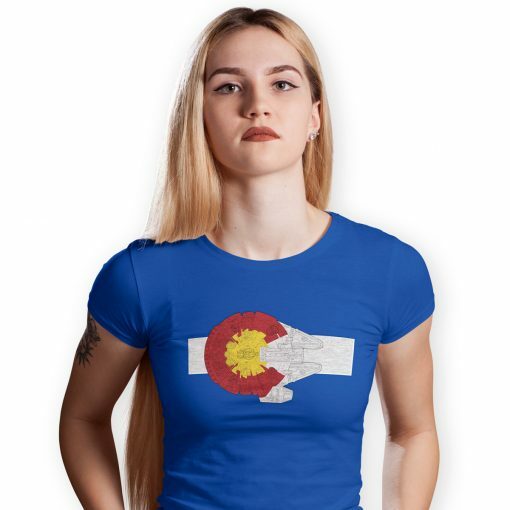 If you are unsure about a size, we encourage you to order the next size up to ensure that the shirt is not too small or tight. 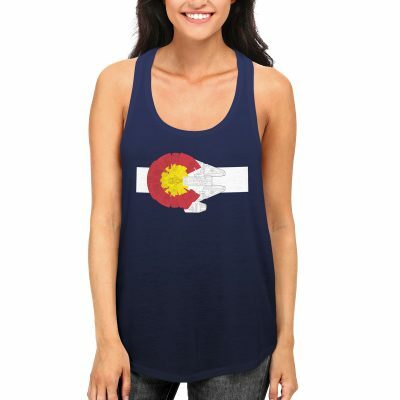 At High Altitude Apparel, we are driven to provide the highest quality products with the best customer care. We do not settle for just “customer satisfaction”; we strive for customer appreciation. If you are not 100% happy with your product, we want to hear about it! Orders may be returned for a full refund within 30 days or purchase. Customer is responsible for return shipping. If any product arrives to the customer damaged, it may be returned for a full refund. Customers may exchange a item for a new size within 30 days of purchase (if it is in stock). The original item must be returned to High Altitude Apparel untamptered. Customer is responsible for return shipping of the original item. If any product arrives to the customer damaged, it may be exchanged for the same product. 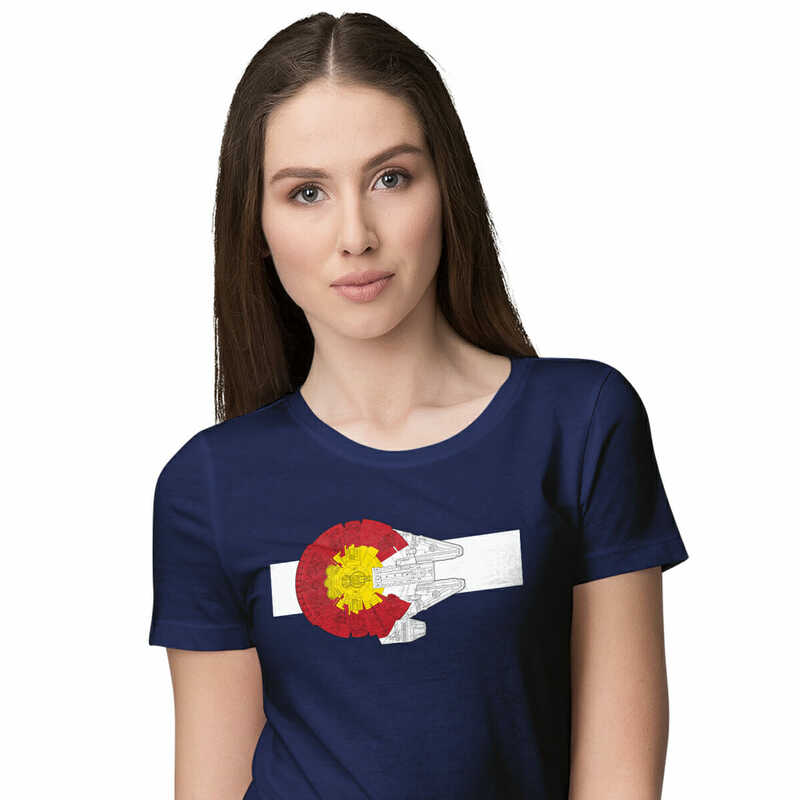 High Altitude Apparel will take responsibility for shipping the replacement item.